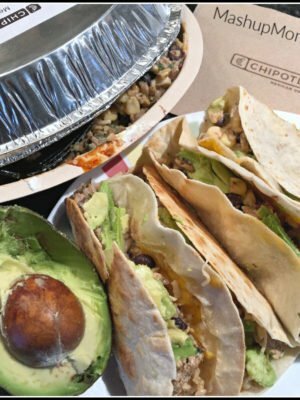 Here’s an easy vegan recipe idea for your Meatless Monday tomorrow! I do realize that this Slow Cooker Vegetarian Chickpea Lentil Stew is not the most photogenic of dishes, but it does make up for its muddiness in color with an excess of both flavor and fragrance; the smokiness of the paprika and cumin play well together here to bring out the underlying nuttiness of the lentils and the chickpeas. 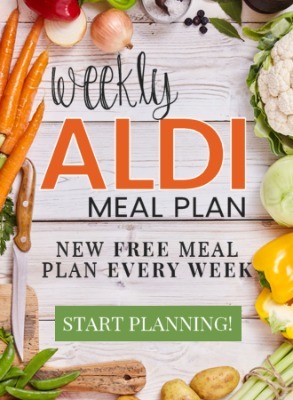 Lentils make their appearance in this week’s Sunday Scratchups (your weekly recipe around grocery sales & affordable ingredients), because both green and red lentils just made their seasonal appearance at ALDI this week. 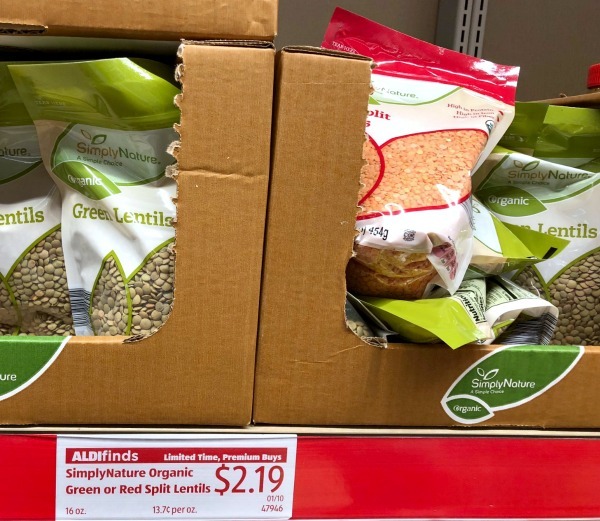 $2.19 for a pound of organic split lentils? Don’t mind if I do, really! Note — these are back in January 2019, but have gone up to $2.29 at my store. Heat olive oil in a large skillet over medium heat until shimmering. Add onion and saute for five minutes, stirring occasionally. Stir in garlic, mushrooms, smoked paprika, cinnamon, cumin, turmeric, cayenne, and curry powder and saute for another three minutes, stirring occasionally. Add that sauteed onion & garlic plus all other ingredients (except for the lemon juice) to your slow cooker. Stir, then cook for 8-10 hours on low or 5-6 hours on high. Squeeze in a splash of fresh lemon juice. Stir, taste to see if you need a little more lemon juice or salt, then serve your lentil chickpea stew over cooked rice, potatoes, quinoa, or pasta. Note: This thick and tomato-y stew is savory, but it is not spicy. If you want yours to be spicier after tasting it at the end of the day, stir in a little more cayenne and/or crushed red pepper. 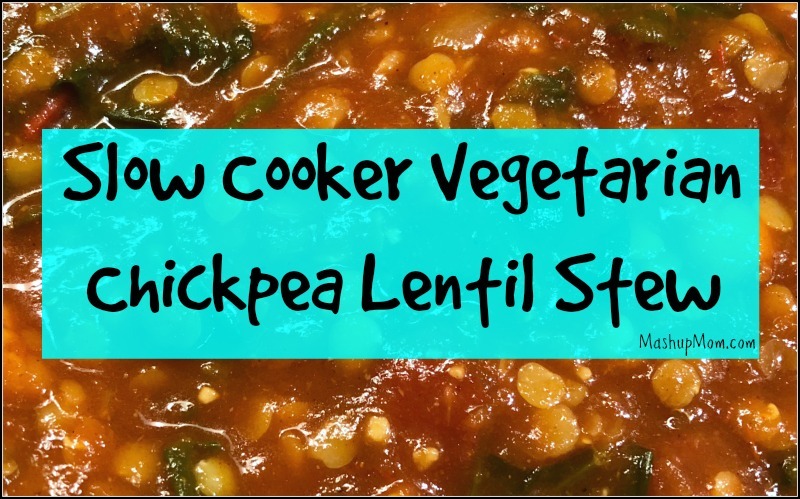 This slow cooker chickpea lentil stew is a warm and welcoming choice for a chilly winter’s night: The perfect vegetarian comfort food! We enjoyed our saucy vegetarian stew over pasta for a full and filling meal; just add a little fruit on the side to round things out. 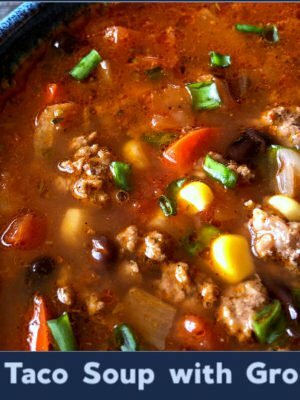 This easy Crock-Pot stew recipe is naturally gluten free and vegan. 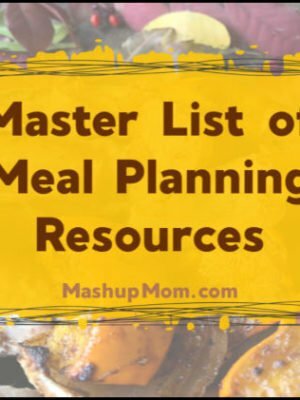 For more vegetarian recipes, browse through the Meatless Monday category for additional dinner ideas. 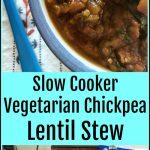 This easy vegan lentil stew recipe takes only about 15 minutes of prep time to throw together and into your Crock-Pot, where it happily simmers away undisturbed and unsupervised all day -- until you come home hungry and ready to eat! This thick and tomato-y stew is savory, but it is not spicy. If you want yours to be spicier after tasting it at the end of the day, stir in a little more cayenne and/or crushed red pepper. Rachel, this would be too much for our family to eat in one sitting and they’re not big fans of leftovers. Would this freeze ok in individual servings to be warmed later or would it be best to 1/2 the recipe? I haven’t tried (we like leftovers 🙂 ), but it should freeze fine. 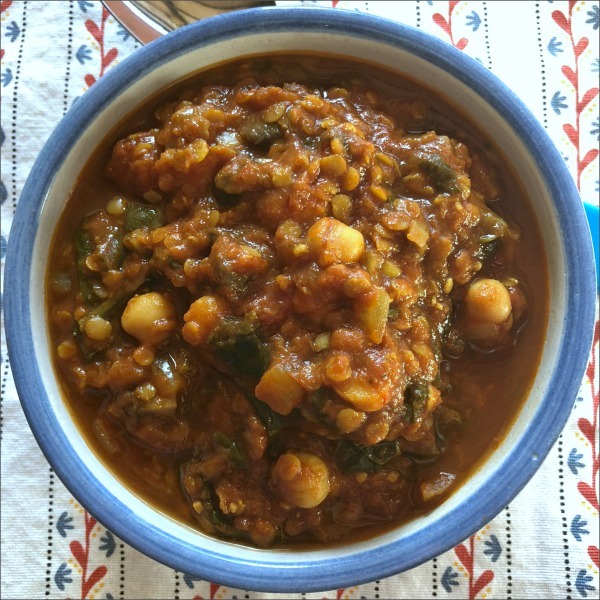 Have you made this with green lentils? I couldn’t find the red lentils and have green lentils on hand . I have not but it should be fine — the green ones will be more firm and you’ll get them more distinctly in the final dish, but flavor wise it should still be tasty.